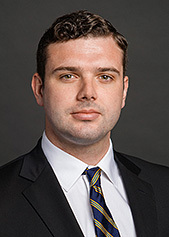 Ryan Brown is a law clerk in the Capital Markets Group. His practice is focused on securitizations and asset-based finance. Ryan received his J.D. from New York University School of Law, and a B.A. from the University of California, San Diego. University of California - San Diego - B.A.